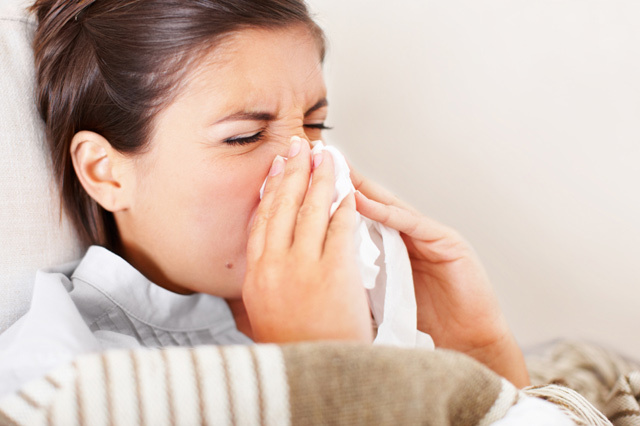 With winter here, it is that time of the year for the cold and flu season. Getting sick and taking time off of training / exercise can be a real setback for anyone who has put in the hard work throughout the year in achieving their fitness goals. The question often arises, ‘how do I know if training will make me even more sick’? A general rule is the “neck check”. If you have symptoms in the head or throat, it should be ok to do light / moderate intensity exercise. If the symptoms are below the neck, it is best to rest. It is important to remember that you need to keep the intensity to moderate. Do not try and attempt a record weight or perform reps to fatigue. Stay hydrated and ensure adequate rest after exercise. The benefit of exercising throughout the winter months – it helps to prevent respiratory infections. A 2012 study from Barret et al, found that moderate aerobic exercise of 30-45 minutes duration can half the risk for respiratory infections. Examples of exercises can be walking, running or cycling. So one of the best preventative techniques for avoiding the cold/flu this winter is to get moving!